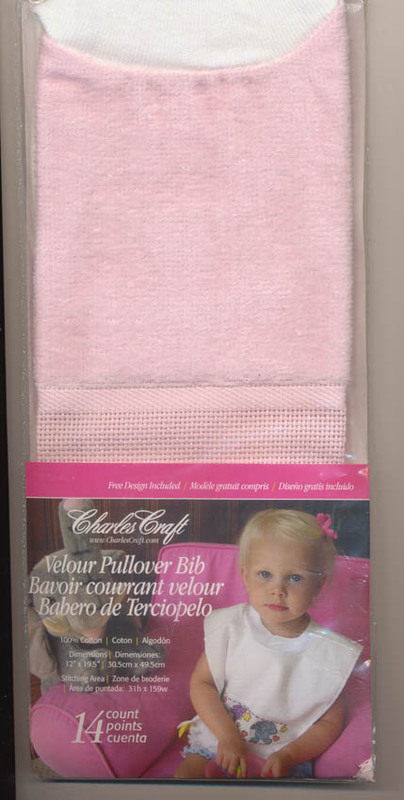 Light Pink velour Pullover style toddler bib. Dimensions: 12" x 19.5". Stitching area count is 31h x 159w. One pattern with colorful elephants is included, but can be used with your own pattern.